Beauty and The Beast Belle Cheesecake Shooters Recipe! 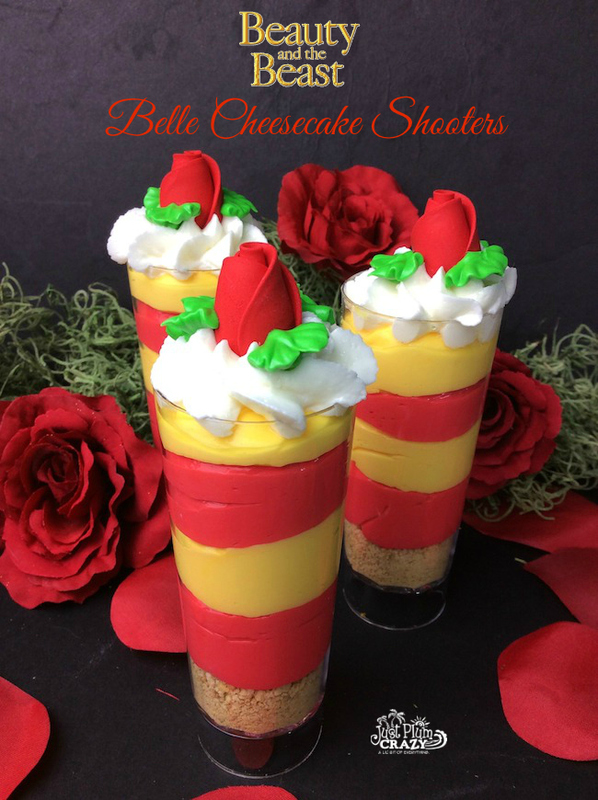 Who doesn’t love cheesecake? 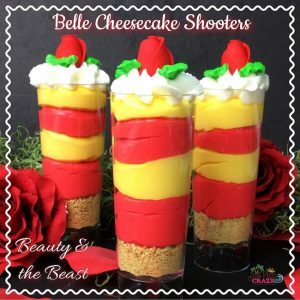 This Beauty and The Beast Belle Cheesecake Shooters Recipe is perfect for the Beauty and The Beast viewing party when it comes out on Digital HD, DVD, Blu-ray and DMA on June 6th. 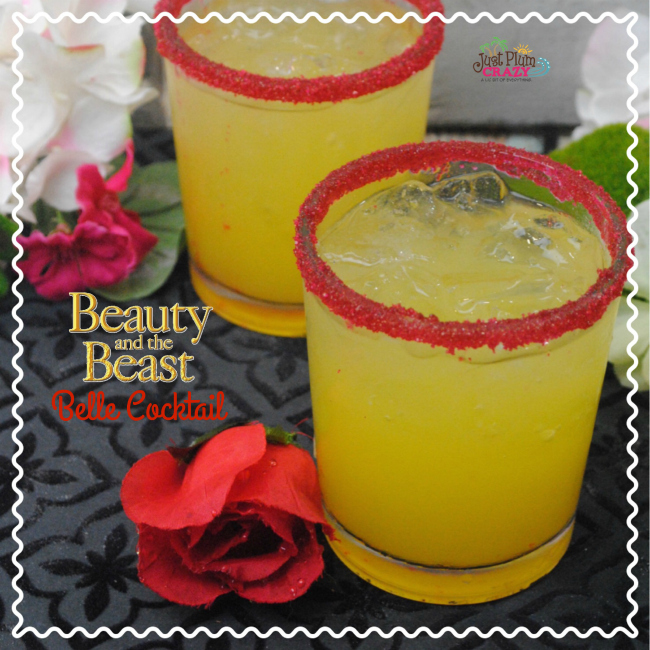 Check out all our other Beauty and The Beast recipes at the end of this post. 1. Combine all ingredients into a bowl and mix until combined. 2. 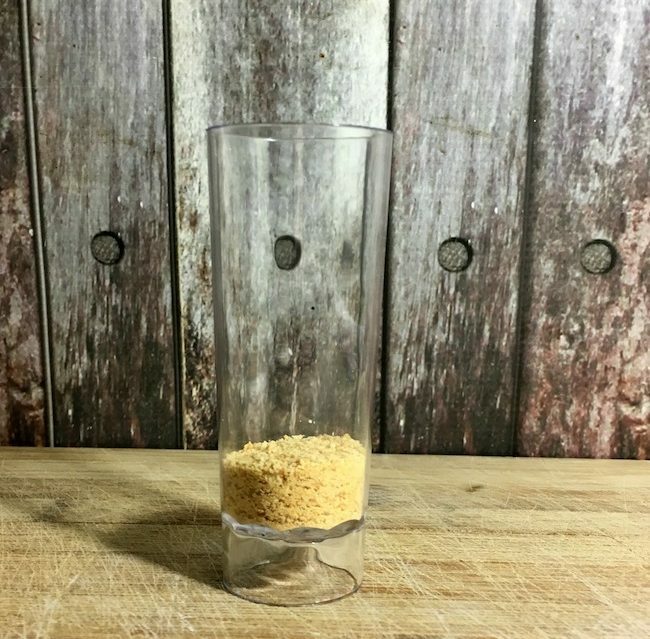 Scoop a tablespoon of the crust and put it on the bottom of the shooters. 1. Combine all ingredients into a standing mixture. 2. Beat on medium speed until stiff peaks form. 3. Add in the green gel coloring. 4. Take the piping bag and cut the tip off to fit the tip. 5. Add in the green royal icing to the piping bag. 1. Split the cheesecake filling into 2 bowls. 2. 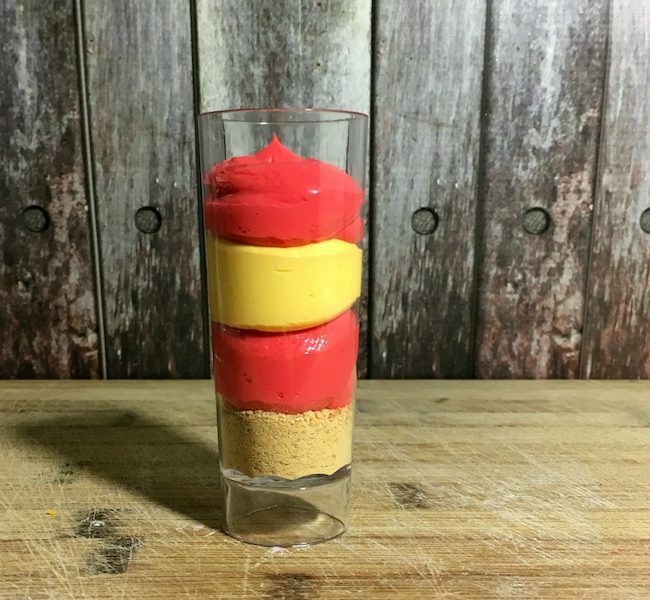 Add the red to one bowl and the yellow to the other. 3. 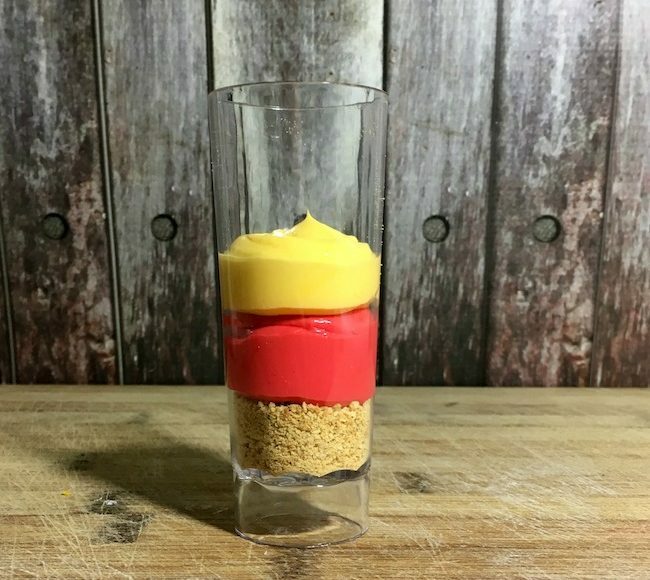 Scoop each of the cheesecake filling into a disposable pastry bag one color in each bag. 4. Cut the pastry bag tip. 5. Twist the top of the bag so you can easily pipe the cheesecake into the shooter. 6. Begin to add the cheesecake one color at a time. 5. 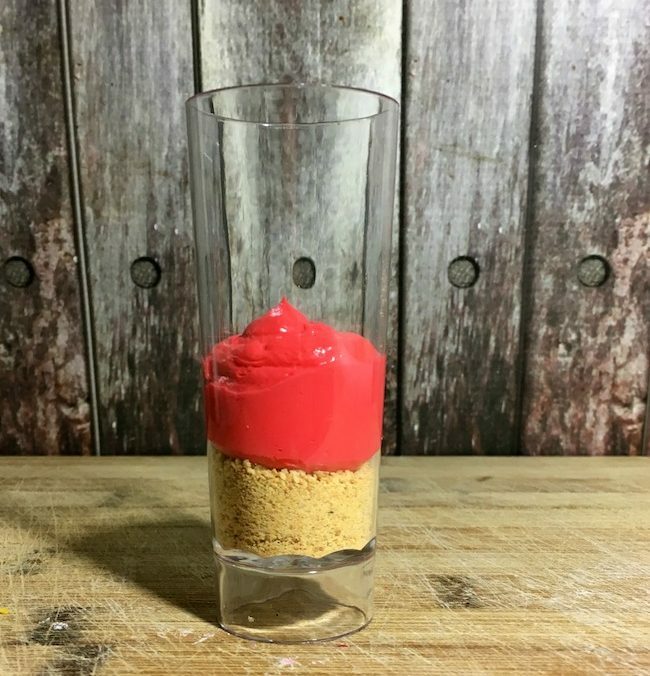 Pipe on whipped cream on top of the cheesecake shooters. 6. 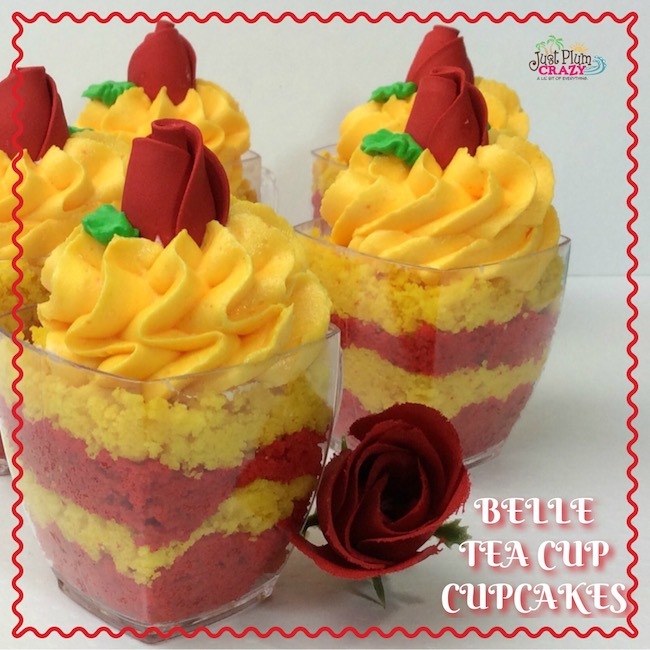 Place a rose in the middle of the whipped cream and pipe a leaf using the green royal icing. Combine all ingredients into a bowl and mix until combined. Scoop a tablespoon of the crust and put it on the bottom of the shooters. Beat on medium speed until stiff peaks form. Scoop each of the cheesecake filling into a disposable pastry bag one color in each bag. 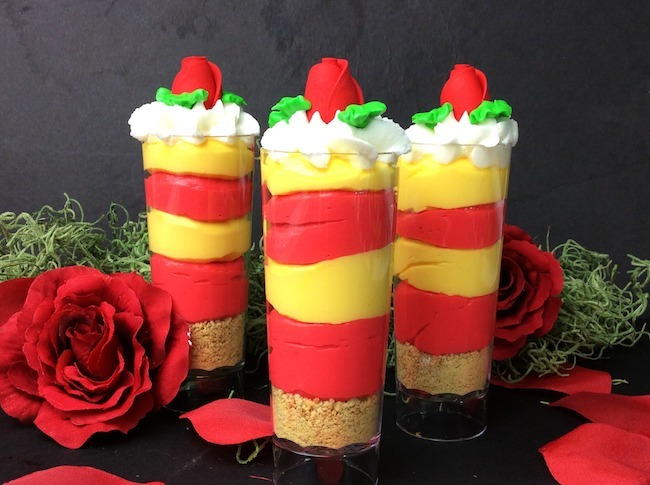 Pipe on whipped cream on top of the cheesecake shooters. 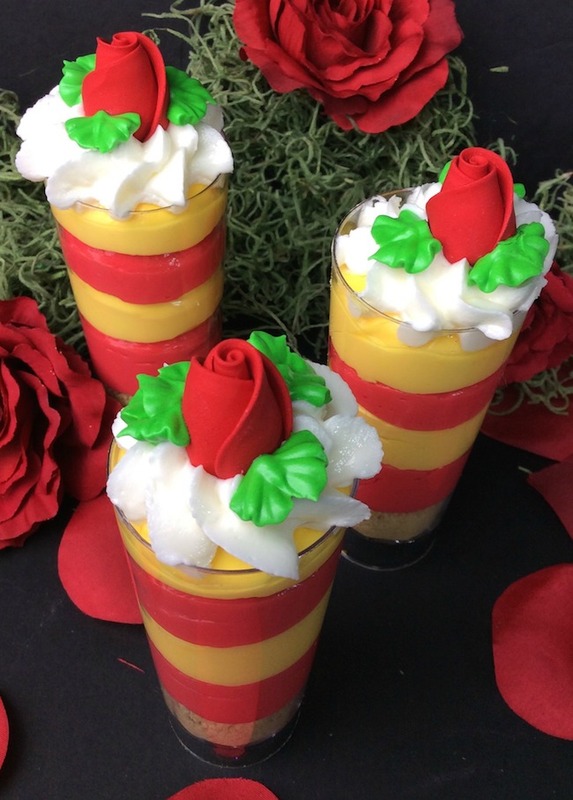 Place a rose in the middle of the whipped cream and pipe a leaf using the green royal icing.